Drawing is one of the many ways to express yourself, as well as music or literature. Unlike our parents, their parents or even the first humans, we have at our disposal a lot of methods to draw our ideas, either through the most classic methods such as coal and canvas, to web pages and apps. iScribble has been one of the best Online Drawing Websites that we have had the opportunity to use. Highlighted others for being especially useful for the study and practice of poses, in addition to other good tools. Achieving the performance of a website of such good quality is not easy, but it is possible. We have compiled a list of good alternatives, ranging from online use pages to app’s compatible with various operating systems. But let’s address some important issues first. How to Choose the Best Drawing Website? Initially, you need to know exactly what you are looking for. Are you a professional with high expectations? Are you starting your path in the art of drawing? Are you looking to draw online with friends? Do you draw just because you like it? Ask yourself those kinds of questions will help you determine the type of software you need and, therefore, the best for you. Find a website that offers you a complete platform, with a familiar, intuitive user interface or, at least, easy to use. Then, take into account the level of accessibility you need, as well as the style you intend to project with your drawings because not all online platforms are compatible with the different styles that exist. Do not overlook the cost. Surely you prefer the free applications instead of the paid ones, but all this has advantages and disadvantages, like available tools or greater content of publicity, to mention only a couple of aspects. Is an online platform or a downloadable app better? It will depend directly on your needs. In case you are starting your path as a draftsman or need to keep your sketches completely secret you will require an independent internet app, usually, they offer many tools, and the paid ones have even more features than the free ones, so it will take time to learn to use them completely. Given the case that accessibility is a fundamental factor for you, there are apps with an internet connection and compatible with Mac, Windows, Android and IOS that can offer you great “to go” sets. In addition to accessibility, you need to be properly synchronized so that what you do in one does not stop happening in another. 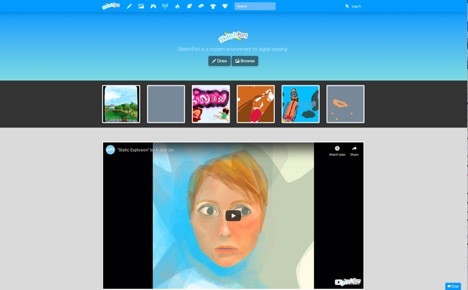 Even internet sites with online sketch pad can be more suitable if you do not want to resort to programs and prefer to have only a few elements they offer, one advantage of these is that you can take ideas or councils from forums and galleries, or participate in online events, among other things. It is an easy-to-use digital sketch pad, as it is normal you will need to register a user to enjoy the advantages it offers. It stands out in SketchPort that they have a challenge section, where other users pose challenges and any member of this community can participate with their drawing, or simply observe the competitors. When you go to the browse section you can see the online library of images created by other users, comment on them and more actions. Your drawings can be displayed there, but if you wish you can remove them from the library, taking up to two weeks to recover them, after that time they will definitely leave. There are also videos that will provide valuable tips to improve your skills as a cartoonist, remember that it is not so easy to draw with the cursor (mouse). And if you prefer to use an app without internet access, you can use Wacom which they support and synchronize with. We can say that it is one of the best alternatives for iScribble, using this free software you can draw painting or another method that you prefer. Drawpile is available for 32-bit and 64-bit Windows operating systems, as well as IOS, Linux and Mac, and in case you prefer, you can access previous versions. With this digital collaborative art app, you can create professional-quality drawings, while others participate simultaneously in the drawing, and the software is free. Besides, in spite of being free and so complete, it does not require internet access to work, because it does not depend on external servers. It also has a chat feature to share ideas on the same working platform. We must say that it is a very attractive alternative, which the only failure could be a poor functionality in Tablet’s Huion, beyond that there is little to regret. Using Tayasui Sketches works as a digital art pad. 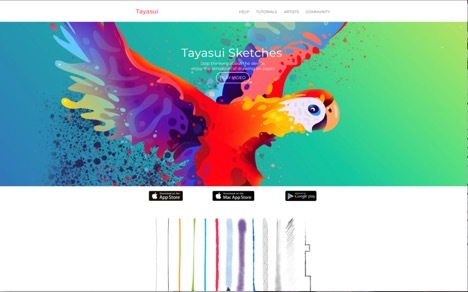 It is an app available for iPad and iPhone designed by artists to be used by anyone, the purpose is that more people have access to professional quality drawing tools to let your imagination fly. It is compatible with all accessories of Apple devices, such as pencils, brushes, and others. Thanks to this variety of drawing tools and its wide range of colors, many possibilities are at your disposal. In addition, here you have access to all your drawings through iTunes, without ignoring that they are completely safe and backed up there. There is an option to obtain the pro version, with which you have access to more tools to draw, and its user interface is friendly. You can draw by capable, import from the gallery, apply patterns, organize folders and share with friends, among other interesting tools. 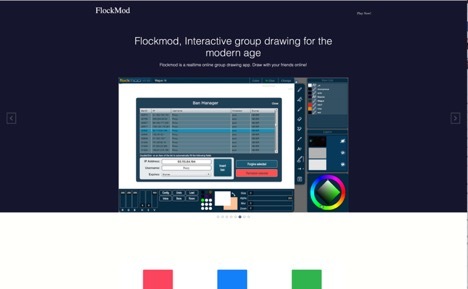 Another tool available to you is FlockMod, an online drawing paper in which you can establish your designs and ideas through a simple and easy-to-use drawing platform. Its interface is very similar to Paint’s software from Windows, so it will be easy to operate and familiarize yourself with this website. Unfortunately, unlike other similar sites, it has no tools of any kind that gives added value or place it as a really attractive option. However, you can use it both on your online platform, and through a Windows compatible application. What gives it a spot on this list is that you are able to share with your friends the drawings to which you dedicate time and that, like other applications of this type, is completely free. Alondra is a free online sketch drawing app. This platform aims to invite you to explore your creative side, and to share the results of your drawing hours with all the members of the community. Unlike other similar sites, you do not have to register a user unless you want to enjoy some extra features. 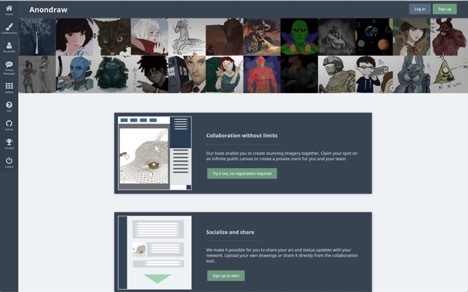 Also, using Anondraw’sdrawing services is free, and if you decide to create your own user, they have a very interesting feature, through which you can invite your friends to a private group to share your creations. However, as with FlockMod, this website can offer little more than simple drawings, so it is better suited to those who are starting in the world of drawing and need someone to help them with constructive criticism, as well as understanding at your own pace the complexity of tools available on other platforms. As indicated by its name, the aim of this website is to develop the ability to draw quickly, instead of devoting too much time to the details. QueekyPaint is an online platform based on the familiar environment so that the taskbars are located on the edges of the screen, and you can drag them to where it seems most comfortable. You have the option to add and manipulate capable, something that is not very common when you draw with online platforms. When you want to store your drawings you can do it on your user or on your computer, although you can only open them with this online platform. In addition, they have a tool called Multidraw, with which several users can collaborate on the same drawing, although not simultaneously. We can indicate that it is easy to use a drawing instrument, very complete despite being available online only. After reading our list of online drawing websites you will agree that there are many options at your disposal, these are only six of the best you can get. Of course, in most cases, you will have to register a user, although not as a general rule because you also have options to draw are downloadable apps for your computer. 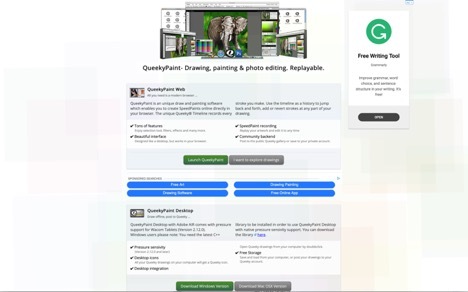 If you are looking for one that allows you to use your computer as a drawing notebook eventually, the best of the list to achieve that goal is QueekyPaint, thanks to its scrollable toolbars and other additions is the best. While the best of the list to download the app and work without limitations of online platforms is Drawpile, being, in the opinion of some, much better than iScribble. Choose from our list the one that suits your needs, that allows you to explore the style that you intend to achieve and that is compatible with the devices you have at your disposal.